As a boy he dreamed of being a spy undercover behind enemy lines. As a man he found himself undercover for God. 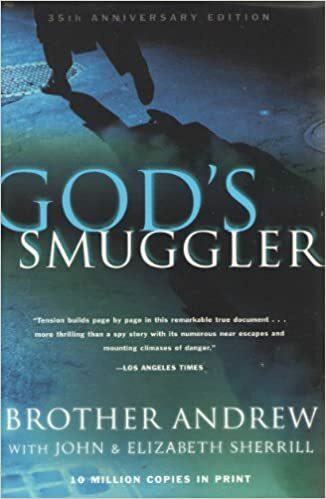 Brother Andrew was his name and for decades his life story, recounted in God’s Smuggler, has inspired millions. God’s Smuggler tells of the young Dutch factory worker’s incredible efforts to transport Bibles across closed borders-and the miraculous ways in which God provided for him every step of the way. A Chance to Die is a vibrant portrayal of Amy Carmichael, an Irish missionary and writer who spent fifty-three years in south India without furlough. There she became known as ”Amma,” or ”mother,” as she founded the Dohnavur Fellowship, a refuge for underprivileged children. In 1956, five young men, including Elliot’s husband, Jim, traveled into the jungles of Ecuador to establish communication with the fierce Huaorani Tribe, a people whose only previous response to the outside world has been to attack all strangers. In a nearby village, their wives waited to hear from them. The news they received – all five missionaries had been murdered – changed lives around the world forever. 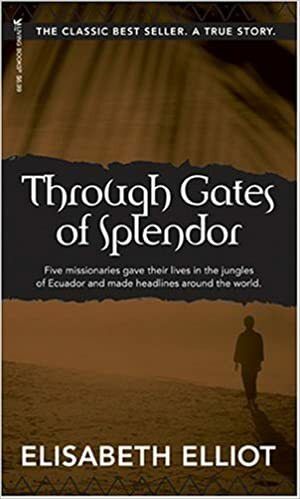 Written while she was still a missionary in South America and at the request of the men’s families, Through Gates of Splendor was Elisabeth Elliot’s personal account of the final mission of these five courageous men. Kwabena is a moving and encouraging story of how an African boy struggled as an orphan to free himself from an uncle who was extremely abusive. Fearing death, he escaped from the village of Yaara and this uncle only to fall into the hands of his mother’s brother who was a tribal witch doctor. Here, he was introduced to potent witchcraft and became a fearsome youngster. At the age of fifteen, he was a leader of a ruthless young gang that terrorized both humans and animals in the village of Bamboi in Northern Ghana.David became converted to Christianity on the street through a seventy-year-old man. During this period of his life, he came face to face with hunger, starvation and neglect. Despite borders and the airport being closed, he managed to leave Ghana in 1979 and arrived in Canada with only $10.00 U.S. in his pocket. He brings vividly to light the intervention of God at crucial stages of his life when he thought his life was over. Despite the harshness with which life has treated him, he has been able to rise above it, living a life of devotion to Christ and humanity and encourages others to do the same. Here is a story of hope and triumph for everyone. An Unexpected Journey from Islam to Christianity In Seeking Allah, Finding Jesus, Nabeel Qureshi describes his dramatic journey from Islam to Christianity, complete with friendships, investigations, and supernatural dreams along the way. Providing an intimate window into a loving Muslim home, Qureshi shares how he developed a passion for Islam before discovering, almost against his will, evidence that Jesus rose from the dead and claimed to be God. Unable to deny the arguments but not wanting to deny his family, Qureshi’s inner turmoil will challenge Christians and Muslims alike. 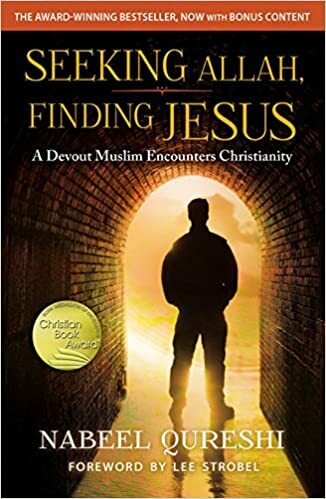 Engaging and thought-provoking, Seeking Allah, Finding Jesus tells a powerful story of the clash between Islam and Christianity in one man’s heart—and of the peace he eventually found in Jesus. With scarcely enough food or money for his own family, George Muller opened his heart and home. Sustained by God’s provision, the Muller house “Breakfast Club” of thirty orphans grew to five large houses that ultimately over ten thousand children would call home. George Muller’s trust and faith in God’s provision reaches a depth rarely seen and will challenge you in your own walk with God. In 1962, Don and Carol Richardson risked their lives to share the gospel with the Sawi people of New Guinea. Peace Child tells their unforgettable story of living among these headhunters and cannibals. The dramatic autobiography of one of China’s dedicated, courageous, and intensely persecuted house church leaders. This is the gripping story of how God took a young, half-starved boy from a poor village in Henan province and placed him on the front line for Jesus, in the face of impossible odds. Instead of focusing on the many miracles or experiences of suffering, however, Yun prefers to focus on the character and beauty of Jesus. Interspersed with his personal account are contributions from his wife, Deling, made mostly during her husband’s frequent periods of imprisonment. You will remember where you were the first time you read this life story.